As pretty much anyone traveling in Europe this week can tell you, it’s sometimes hard to know what happens after an unusual, disruptive event. Volcanologists – the people most expert in this sort of matter – can’t say for sure what the spitfire at Eyjafjallajokull will do next. It comes down to this: the volcano’s eruption could get better or it could get worse. Or it might fluctuate for a while. If the situation persists, there’s no telling if its course will stutter, like seizures of varying intensity in a person with untreated epilepsy, or if it will flare sporadically like disease exacerbations in patients with MS and then, with some luck, peter out. Some wonder if the ash might spread westward over the ocean, affecting distant cities like New York and Chicago. Unlikely, it seems to me, but this is far afield from my area of expertise. What I do know is oncology, and so how I’m thinking about Eyjafjallajokull in medical terms – I want to know the prognosis: how bad and extensive will be the damage, how much will it cost, and in a few weeks or (please, volcanologist, don’t say it could be months) from now, how we can know for sure when the situation has cleared. Aside from a few pulmonologists who rushed in to say there’s not much to worry about the silica-laden aerosolized dust particles, most scientists who’ve been interviewed have been cautious. I admire their candidness about what they don’t know. “The volcanic eruption that has grounded planes and closed airports throughout Europe appears to be slowing down. 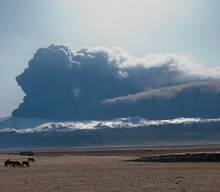 But before travelers start rejoicing, Icelandic scientists have a warning: The eruption could start up again any time. You get the idea, a volcano in Iceland exploded for the second time in two months, putting much of Europe at a stand-still. Business travelers, vacationers, and companies had to stop and make new arrangements and even compromises. Disappointment and frustration ensued, besides some anger toward those whose job it is to decide if it’s safe to fly. 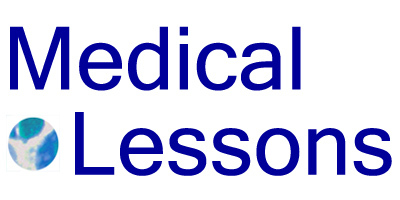 Going back to medicine – I’m thinking of a patient I once cared for with a non-Hodgkin’s lymphoma. When her disease struck, she was a young mother like me who led a complicated life with lots of responsibilities. The type of lymphoma she had was uncommon; she sought multiple expert opinions regarding her exact diagnosis and treatment. My colleagues and I didn’t all agree about chemotherapy and radiation, and she was uncertain of how to proceed. Ultimately she opted for surgery and six months of chemotherapy. At the end of all that, she wanted to know if the lymphoma would come back. “We can never be sure,” I told her. There’s really no choice but to watch and wait.